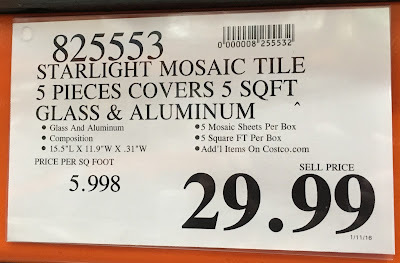 Last year, I bought the Golden Select Milan Glass & Stone Mosaic Wall Tiles from Costco to create a backsplash for my bathroom. 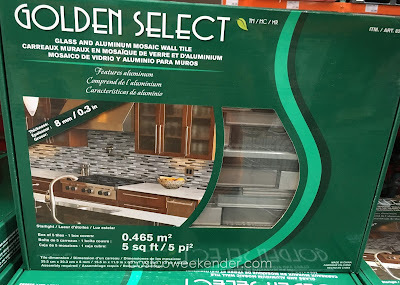 No regrets here and I still like the look that the Golden Select Wall Tile gives my bathroom. 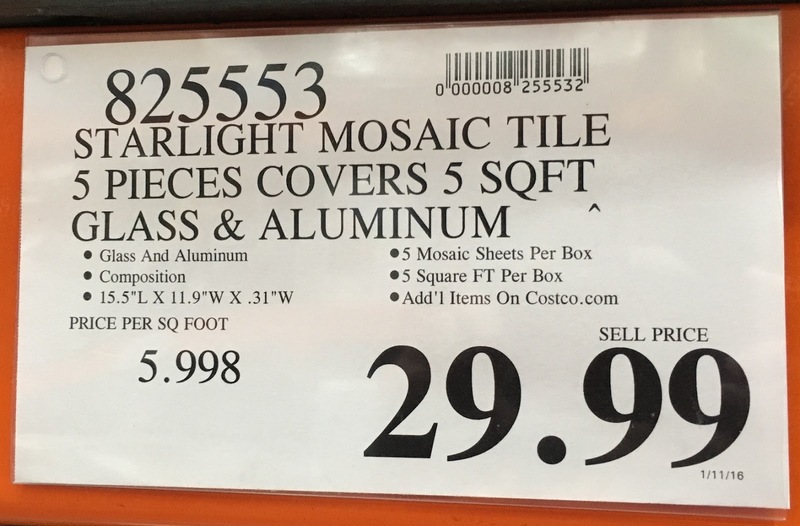 I stumbled across a similar design at Costco with the Golden Select Starlight Glass and Aluminum Mosaic Wall Tile. Instead of Travertine and Marble pieces, this one comes with Glass and Aluminum. Since it is gray in color, it would give your kitchen or bathroom a more industrial look. 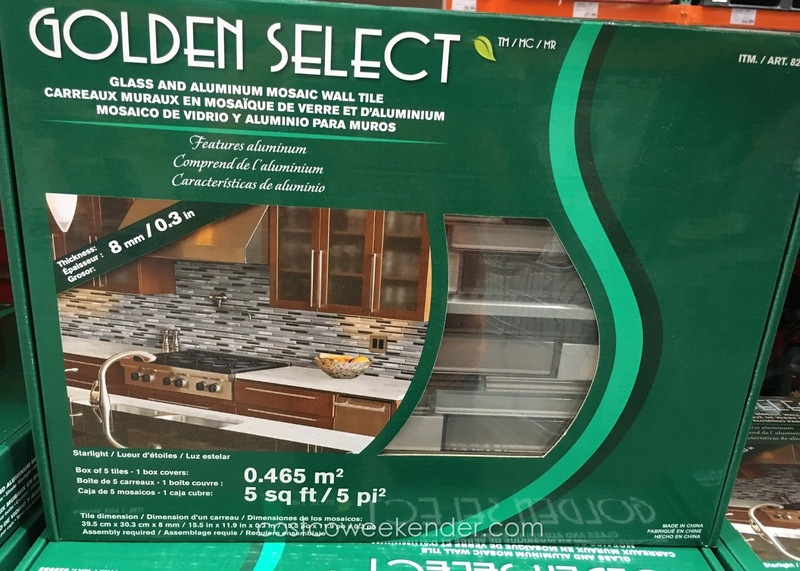 If you had a lot of color in your kitchen such as cherry wood cabinets or floors, the Golden Select Starlight Glass and Aluminum Mosaic Wall Tile would do great in giving you the contrast to make that eye-popping statement. It would also complement stainless steel appliances nicely as well.